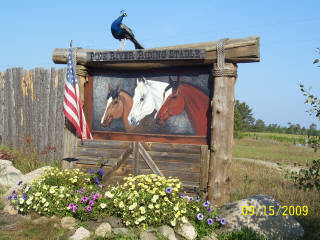 Howdy, so ya like horses huh, what better place to ride than a peaceful 280 acre, family owned stable. We have beautiful, well-trained horses and ponies for everyone. Actually we own about 130 horses all together. We have horses that range from our biggest horse Hotshot which stands about 18 hands (six feet tall at the back down) to one of our smallest ponies named Chester which sands about 34 inches at the back, and everything in-between. Horses aren't all we have; we also have critters for the children. Up at the stable, we usually have kittens to play with. 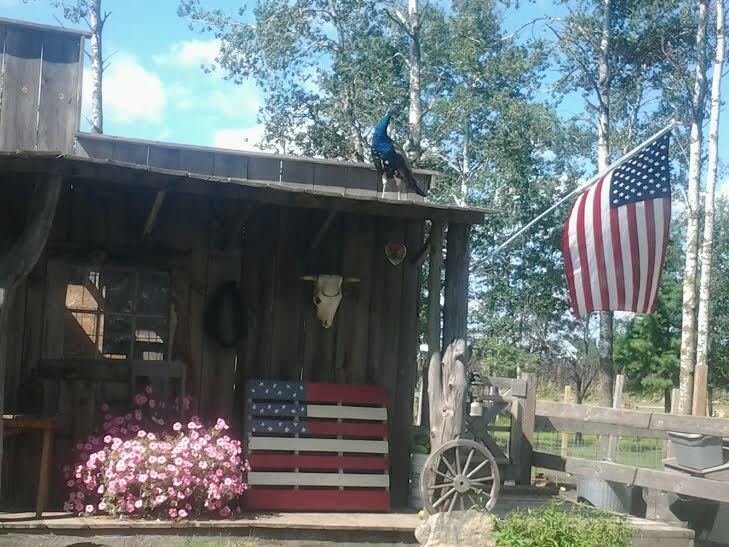 We also have donkeys, emus, and a cows, black Hawaiian big horn sheep, chickens, peacocks, bunnies, and ducks to watch. Bring your own lunch and sit at one of our fire pits and eat you lunch in a peaceful environment while watching the critters play. In addition to our wonderful trail rides we also accommodate large groups, give riding lessons, train horses, board horses, and we have critters to see. You are scared and don't think you can ride a big horse, take comfort in knowing that our horses take out mentally and physically challenged children and adults from Camp Knutson every day in the summer, and they have a blast. We also have helmets available if you would like to wear one, for no additional cost. 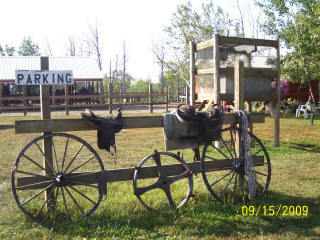 Our equipment is checked every morning and again before you get on the horse. Even though we have safety stirrups on all of our saddles, we prefer that you wear a pair of shoes that has a back on it. If you don't have anything but flip-flops that is fine, but you will have the privilege of riding bare foot. For you more experienced people we have horses for you also, horses that aren't afraid to show ya a little speed. Maybe you think we have a weight limit because most stables do, not here, no matter the weight we have a horse for you also. Maybe you think you can't come because you have a young child. We take all ages, if your child does not fit in our smallest saddle he/she may ride in the saddle with you. We have fun, excellently trained guides who are great with kids and adults. Our guides are also certified in CPR just in case a bad situation is to occur you know you are being taken care of by someone who knows what they are doing. All of our trails are private, so you can ride the way you want to and don't have to worry about going out with someone you don't know. 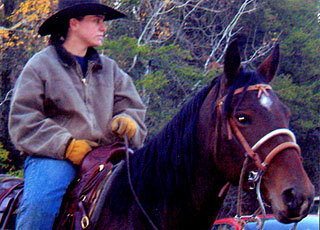 Having all private rides allows us to get to know you and how you like to ride so you can fully enjoy your trail ride. We have the Pine River flowing through our property, which is very fun to ride through, especially on the really hot days. If you are lucky you may get to see the river otters that play in the river, or maybe some of the other wildlife we've seen on the property like: Deer, porcupines, badgers, snakes, turtles, foxes, coyotes, wolves, and a bob cat, or maybe one of the many unique looking wild birds that cross through. We are open 354 days a year and 7 days a week. Why 354 days a year? 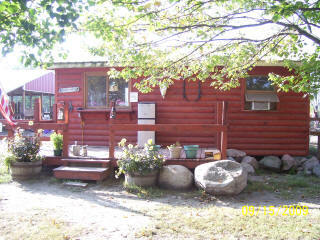 We are closed during deer season, which is the first weekend in November through the second weekend in November. We go by reservation so we don't have set times. If you want to have a fun memorable day give us a call and make reservations at 218-587-5807 or contact us. We look forward to seeing you and giving you a day to remember. Y'all come on out and see what we have to offer.